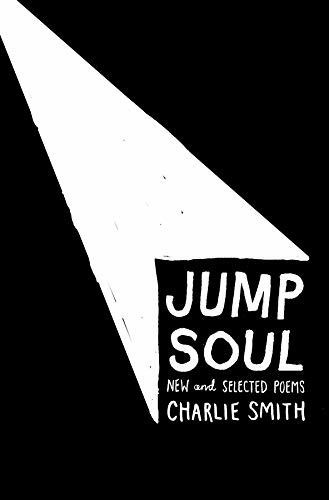 Charlie Smith’s latest volume Jump Soul includes Godzilla Street: New Poems and selections from several previous books including Red Roads, Indistinguishable from the Darkness, The Palms, Before and After, Heroin and Other Poems, Women of America, and Work Comix. Jump Soul is a composite journey, an invitation to travel as the poet has travelled, to share his very intimate encounters, and, at leisure, his ruminations. The poet uses this collection to walk the reader back over some of his most urgent life aspects and experiences, across a broad range of locales, situations, and realizations. Dispersion has become the modern way we deal with relationships—going here and there and here and there again—as if we had discovered something marvelous, a kind of newness, whether in thought, action or thing. Given the composite nature of this collection, following the thread of the poems in Jump Soul can sometimes prove tricky. One can be off-put by a gloss here or an abruptness there, by a sudden shift on a particular subject or point. The reader is sometimes caught in a vortex, making it a challenge to reconnect, to follow the widely divergent exigencies of Mr. Smith’s complex life experiences. One thing is clear. In reading Mr. Smith’s poetry, one cannot depend on linearity. This is not so much a value judgment as a caution to the reader. Jump Soul truly jumps. If you hang around long enough, however, certain themes not fully dealt with when first introduced tend to recur and amplify. The reader, in any case, will need to be able to parse poetic language. In preparation for delving into this volume, the reader will be well served to adopt an attitude of openness and an expectation of fluidity in the landscapes visited and revisited, some of which are likely to require a good deal of introspection for their digestion. In this volume Mr. Smith unabashedly celebrates his life dramas―his growing up, his marriages, his core family relations, and his opening up to the balance of life’s experience―a story rendered with courage and intensively brought to the fore through the employment of poetic metaphor―his central method of telling and one that is crucial to his role as poet. By way of further orientation to these selections, Mr. Smith uses vignettes, histories, hopes, and dreams. In addition, he draws from his richly miscellaneous experiences, his reminiscences from over the years providing materials for additional development. on the porch, the sample cases I’m returning. This is simply one of the many examples of how this poet came to find these realizations for himself and to put them into this volume. Almost immediately thereafter, from the collection Red Roads, Mr. Smith moves the reader to the Gulf, to the Mississippi River and its meander, into deeper and deeper humanness, into his life of growing up and being put on the road to a larger and more contributory becoming. And so, the contemplative weighting of the poems continues, that even having learned the pith of it, there are still labors ahead and still much more for the poet to learn and endure. A singular work in the collection and certainly one of the most engaging pieces is “As for Trees,” a poem that crosses barriers, that encompasses such a broad swath of engagements across time, landscapes, histories, and sensibilities, that provides the commonality of who and where we are—trees as metaphorical device. Open the metaphorical doors and windows to this fine collection; let the textures and textures that are so generously infused into these poems find a place in your imagination.